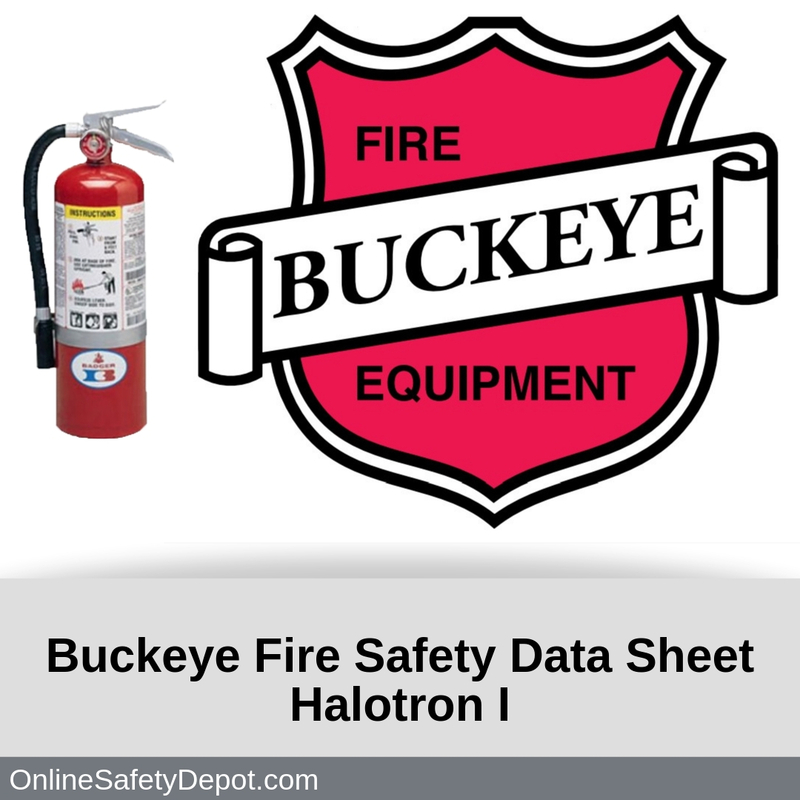 Buckeye Fire manufactures a line of Halotron I fire extinguishers capable of extinguishing class A, B, and C fires using a clean, residue-free agent. Because of its nonconductive and non-corrosion properties, it is primarily used when extinguishing fires involving sensitive electronic equipment. The ABC Dry Chemical fire extinguishant used in these extinguishers is also called “Multi-purpose Dry Chemical”. This section explains how to identify the Halotron I Fire Extinguishant and includes hazard and precautionary statements pertaining to one’s health from exposure. In addition, this document explains the adverse central nervous system effects and symptoms related to inhalation. This section explains how to treat chemical exposure to the eyes and skin as well as how to treat someone who has inhaled or ingested the chemical. It also identifies the most important symptoms and or effects from exposure and contains a important “note” to an attending physician. This section reviews the firefighting capability including reference to flammable or combustible elements, special firefighting instructions, and other potential hazards. This section describes what to do in a situation where the Halotron I agent has been released accidentally in large quantities, including how to clean it up. This section describes handling the fire extinguisher to limit exposure, post application guidelines, and how to properly store the agent/containers to maintain canister integrity. This section explains the respiratory hazards of extended exposure, including protection for respiratory, eye, and skin protection. This section identifies the physical and chemical properties of the Halotron I agent. This section presents the reactivity, stability, incompatibles, hazardous decomposition products. This section presents the known toxicological effects from exposure including data from animal studies. This section presents information on aquatic toxicity and the environment, including a statement to prevent mixture with ground or drinking water. This section identifies that the Halotron I agent is defined as a hazardous material in the US and a dangerous good in Canada, and includes proper shipping information. This section declares “other information” that may be pertinent related to the specific product, including HMIS Ratings and WHMIS material identification.